More than just a place to stay overnight, Toronto’s Gladstone Hotel is a beacon of culture, diversity and sustainability. It’s an accessible hub that allows artists, travelers and diners to collide, collaborate, disagree, debate, fall in love, get in trouble and get away with it. 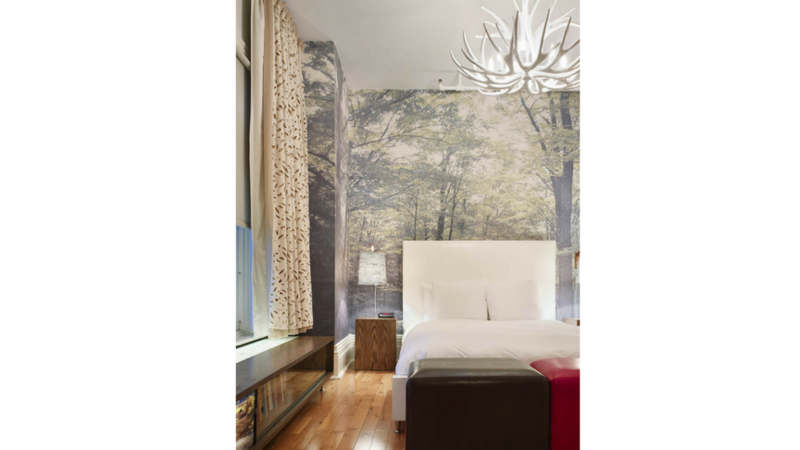 Fixated by a myriad of art styles, the boutique hotel hosts the best of local Toronto artistic talents in 37 unique artist-designed hotel rooms. The upper floors are open to the public and showcase 70 edgy art exhibitions a year. Take the nifty century-old lift handled by an operator to admire the craftmanship. Built as a grand railway hotel, the Gladstone Hotel is the city’s oldest. The aesthetic is refined as modern Victorian that exhibits wood throughout, but with a relaxed and comfortable aura. 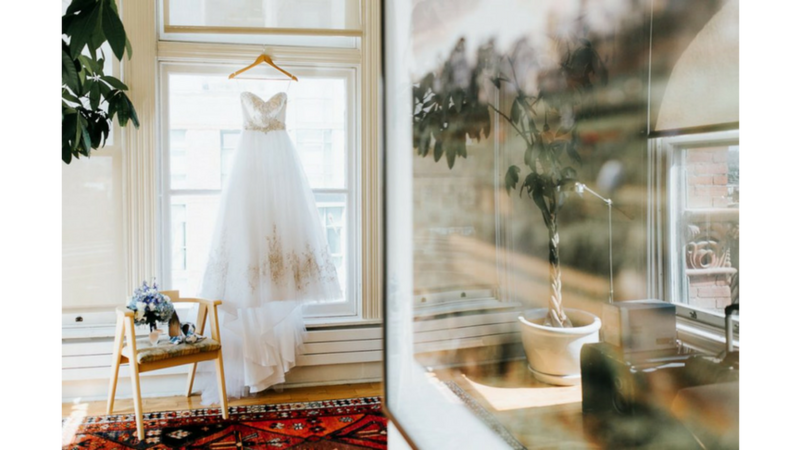 All 37 rooms were designed and decorated by Canadian artists, so you can choose what suits your taste or mood: the elegant Map Room, the risqué 1940s Parlour of Twilight Room or the maple and snow-inspired Sugarbush Room. Guests have contemporary comforts and amenities: hypo-allergenic bed linens, a Samsung Galaxy Tablet with a digital concierge system, Gallant bikes-to-borrow, and all-natural Canadian bath products. 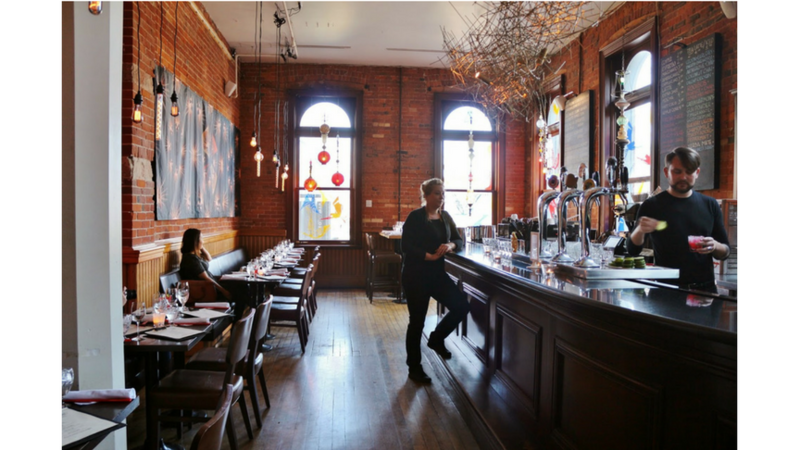 As a pioneer of the local food movement in Toronto, the Gladstone Hotel’s menus change like the seasons. The hotel dedicates innovation to its food program at the bistro-style Café and the groovy Melody Bar. Produce tends to be locally sourced and the dishes encapsulate originality at its finest. During the day, the Melody Bar doubles as a lounge. The atmosphere turns to an exuberant vibe at night with live music, cocktails and a bar menu for snacks. The nearby 99 Sudbury has become a staple lifestyle establishment in the vibrant downtown Toronto Gallery District. The hotel grants complimentary access to the 99 Sudbury, which offers a variety of fitness and wellness classes such as Vinyasa yoga and restorative flow. 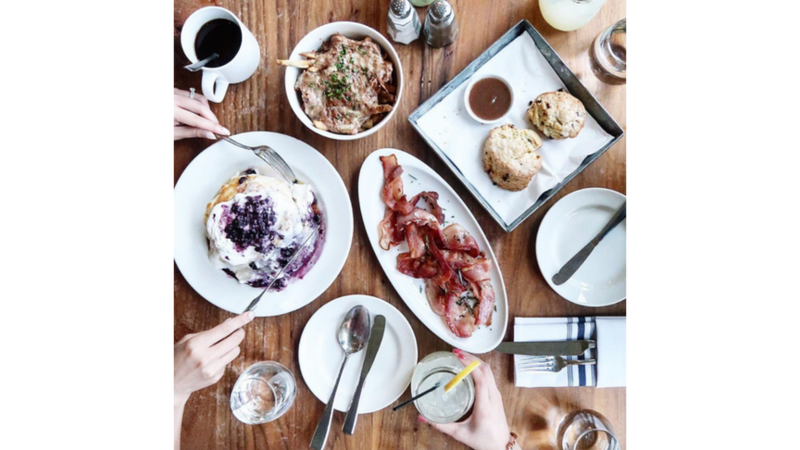 Located at the epicenter of the West Queen West neighborhood—home of the city’s best brunch spots, independent art galleries, vintage shops and trendy restaurants. 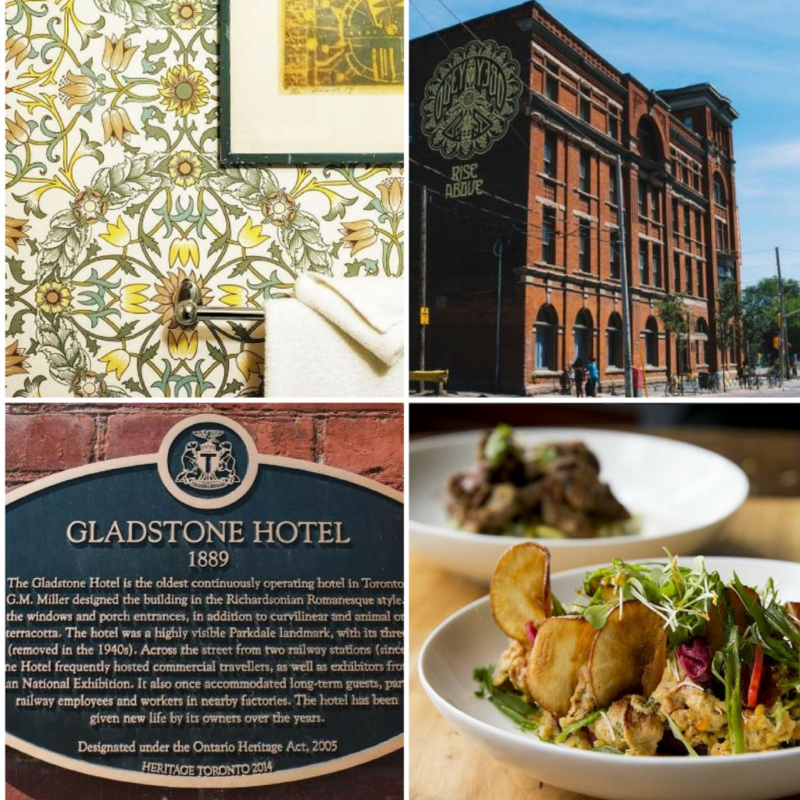 If you’re looking for a lively and unique place to sleep, eat, party and get inspired, the Gladstone Hotel is THE go-to location! As art is the forefront of the Gladstone Hotel, the property hosts the Gladstone Hotel Art Hut, a pop-up project initiative to animate the currently empty property with artistic programming. Located directly across the street, this expanded art initiative is perfect for locals and travelers alike. Gladstone is an art gallery unto itself with every room worthy of a snap.